Love Encore Worsted's diverse colors? Then you'll love Plymouth's new Hot Cakes! Taking colors from Plymouth's existing Encore Worsted line, this yarn cake provides color stripes in engaging color palettes. Each cake holds over 400 yards, making it a great choice for striped projects of a variety of sizes! Berroco Vintage Yarn and Plymouth Yarn Encore Tweed Yarn are both similar yarns: acrylic, machine wash, worsted (19-20 sts/4 in), 5 sts / inch. 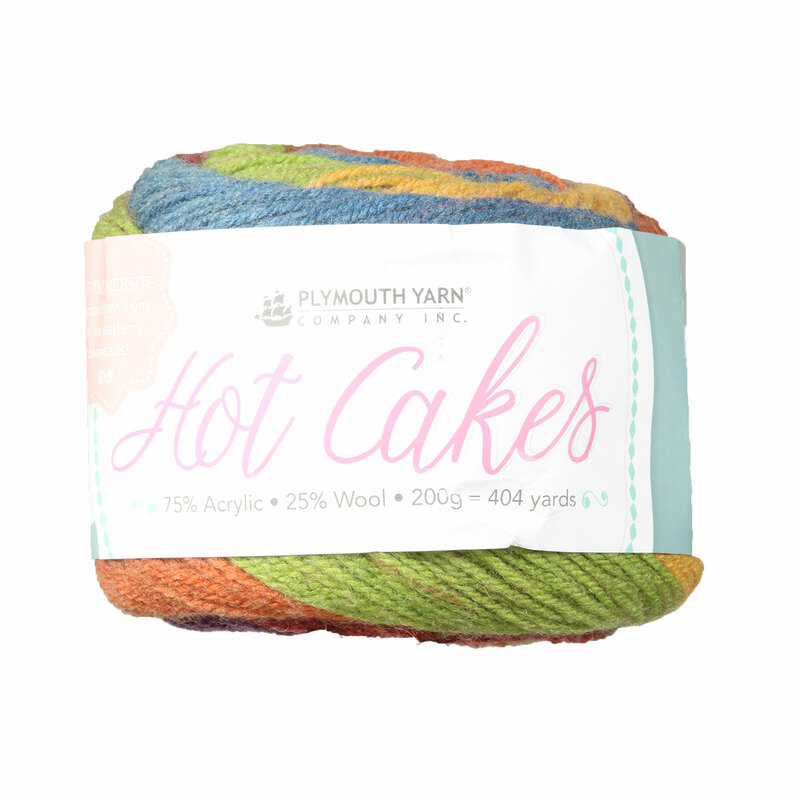 Hopefully our suggested project ideas for Plymouth Yarn Hot Cakes Yarn can help you come up with your next exciting new project idea!